MPLS Service enables you to connect your business locations without the need for ATM or Frame Relay. Traditionally, ATM or Frame Relay circuits were needed with dedicated telco lines to connect geographically different locations. MPLS Service not only replaces these technologies, but adds to them, all through the use of internet bandwidth. This is perfect for our customers within the US, as well as our international clients and those in developing areas across the globe. With MPLS Service, you’re able to connect geographically different locations while converging voice, video and data onto a single IP-based network. You’ll be able to set priority levels for business critical applications (such as voice service) while giving lower priority to things like internet surfing. To see if MPLS Service is right for your business, call us today at 800-664-3071 for a free consultation. Telecom provider identifies MPLS Service as solution to business communications needs; begins global initiative. Dec 02, 2010 – NAVARRE, FL – ECTtelecom, a leading telecommunications provider offering global telecom solutions, has added MPLS Service to its extensive list of telecom services. As a wholesale provider, ECTtelecom believes MPLS is ready for prime time and is a complete solution for replacing outdated services such as ATM. “Throughout our 16 years serving the telecom industry, we’ve constantly added capabilities to our services to provide the most comprehensive networks for our customers. MPLS Service is an extension of our drive to provide the best services to our clients, giving them the confidence that their business-critical applications receive priority over other network traffic” says Kenny Wilder, the company’s President. 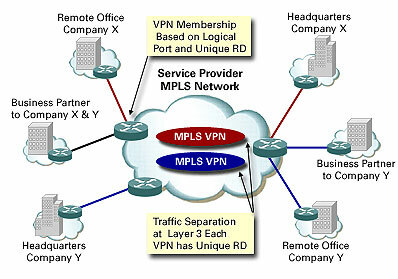 MPLS (Multi Protocol Label Switching) helps multi-location businesses manage their site-to-site and remote connections. The quality of service lets the business avoid network congestion issues by prioritizing traffic. Where network bottlenecks and data congestion can slow down communications applications such as VoIP phone calls, MPLS Service eliminates this issue by letting the client determine which business communications are highest priority. For example, most businesses would give top priority to mission-critical applications such as voice calls, and assign lower priority for non-essentials like internet surfing. MPLS Service provides superior connectivity that ECTtelecom customers depend on. Wilder tells us the company delivers a wide spectrum of services across the global network which reach deep into emerging markets, and this move shows that they are aligning well with their client’s strategies in high growth areas. Since they are a Master Telecom Agency, they can provide the most competitive service to clients across the globe; virtually anywhere with an internet connection. With connection speeds increasing, even in developing markets, options like MPLS Service and SIP Trunking will easily embed themselves into the business telecom vocabulary and replace aging technologies with more features, greater flexibility, and lower cost. ECTtelecom is a leading national communications master agency for over 16 years. At ECTtelecom we partner with leading telecommunications service providers to offer a portfolio of solutions including Local and Long Distance Service, Audio/Web/Video Conferencing, Dedicated Internet Access, Integrated Voice/Data Services, VoIP, SIP Trunking, Private Line, MPLS, and Enhanced Network Solutions.